This year we will continue to have an interactive history program that includes a number of stations that students will rotate through in their groups. The scavenger hunt from the previous year will also be carried over in this year's list of programs. Students will be separated into 4 groups and work together to find clues that are hidden around the main museum building to solve the puzzle at the end. Because this year marks the 100th anniversaries of the Battles of Vimy Ridge and Passchendaele as well as the 150th anniversary of Confederation in Canada, Confederation in Canada will be a major theme in our interactive history and the connections Kneehill County holds to Confederation. In addition, we will be including a station in our interactive history program that focuses on World War I, the battles of Vimy Ridge and Passchendaele in particular. This year is the 150th anniversary of Canadian Confederation and we want to immerse students in the history of the Canadian pioneer. To do this we have created a program that will allow groups of students to become familiar with the different aspects of pioneer life. 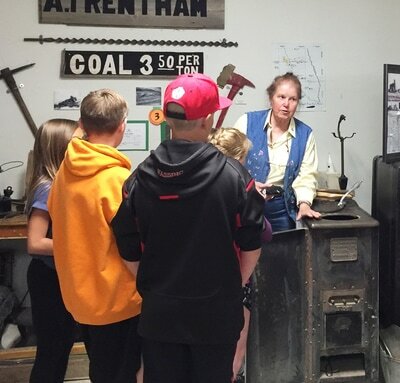 Within each group, each student will discover facts about their station that relate both to Confederation and Kneehill County. They will then work together to create a story about their station that will be presented to the rest of their classmates. 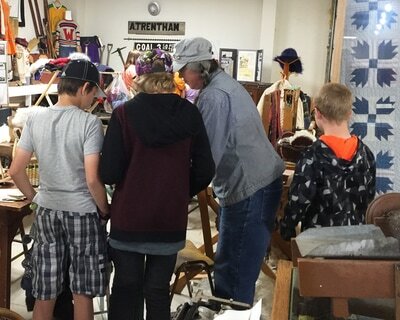 ​Each class was split into 10 groups and each group was sent to a station, where they had 10 minutes with our volunteers to learn about their specific station. After 10 minutes, they rotated through each of the 10 stations to get an overview of the history of Kneehill County. In 2016 our scavenger hunt was located in our Main Museum building. Students were separated into 4 groups and worked together to find the clues hidden around the museum and solve the puzzle at the end of the scavenger hunt. 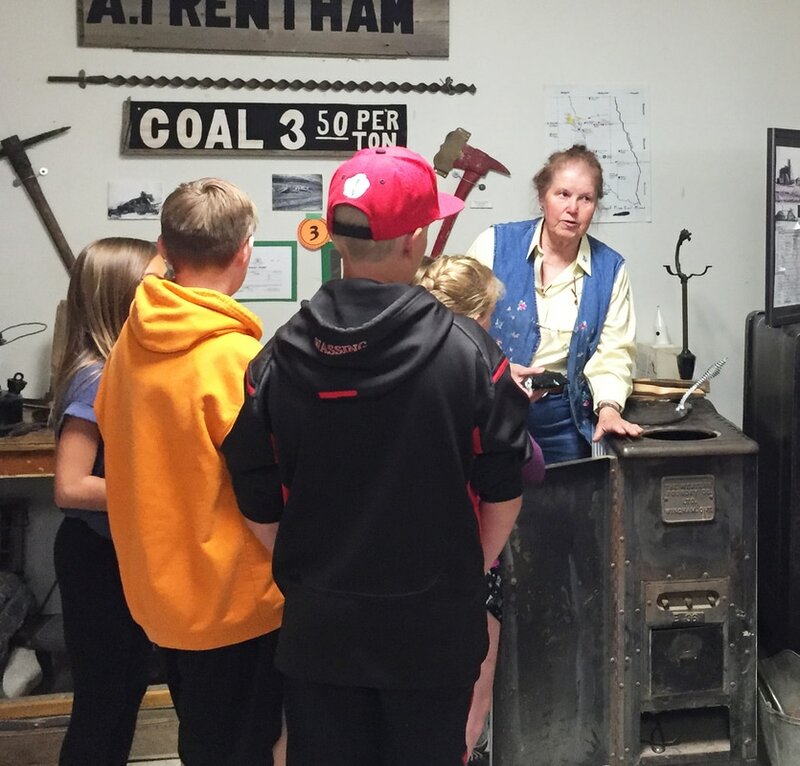 In 2016 we had a grade 6 join us in the Station House along with MLA Nathan Cooper and Richard Maerz as the students learned how the parliamentary system works. The students were involved in the passing of a bill that motioned that all vending machines be banned from schools. Guided by Mr. Cooper, students either passed or rejected the bill throughout the readings and were encouraged to debate with each other about whether the bill should or should not be passed during each reading. In our 2015 season, we included a Grain to Bread Demonstration and wool demonstration. Students were split into 2 groups of 12 (or left in one group if the class was smaller). 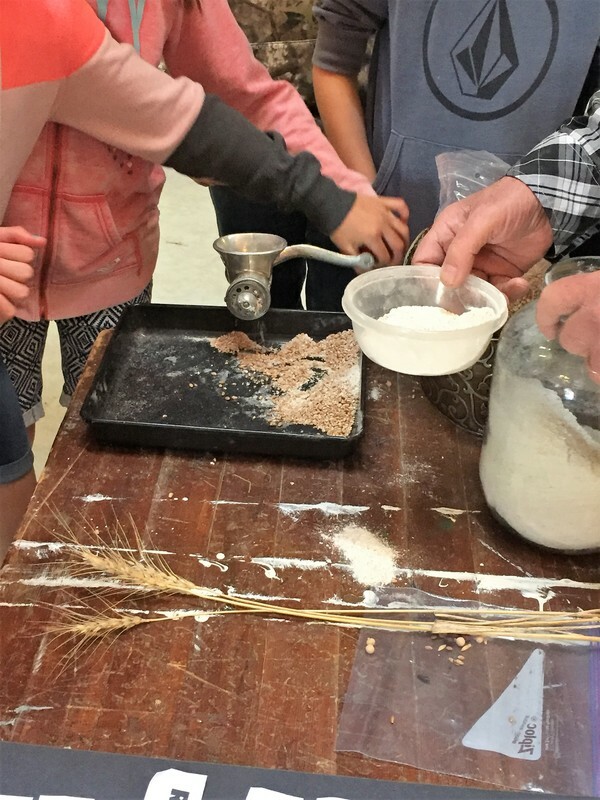 Each group had 1 hour learning the process of making bread, and 1 hour to experience how wool becomes yarn. Due to the extensive preparation, materials, and volunteers necessary to make this program a success it was not continued in the 2016 year but may be brought back in years to come.